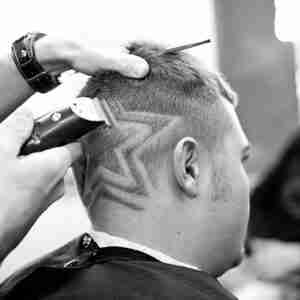 Precision Haircut with a vibrating shoulder massage. 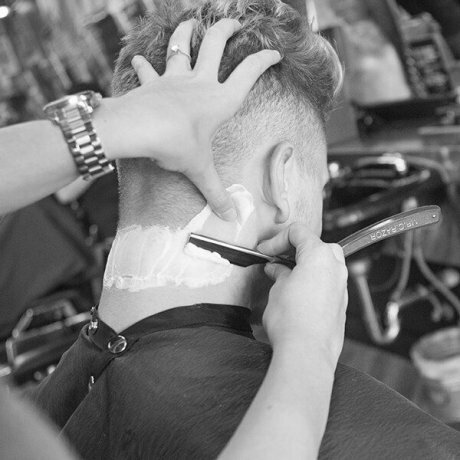 Precision haircut with a straight razor neck clean-up. Precision haircut, relaxing scalp massage/shampoo, hot towel treatment, vibrating shoulder massage with a straight razor neck clean-up. Precision haircut, one guard, no scissors or razor. 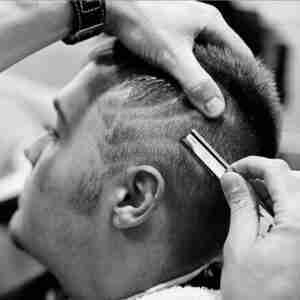 Precision haircut for shoulder length hair or longer with a vibrating shoulder massage. 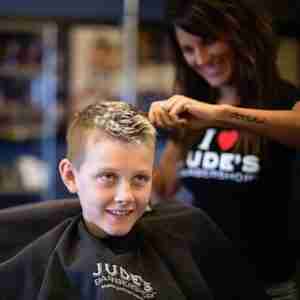 There’s a reason Jude’s Barbershop has won numerous awards year after year. 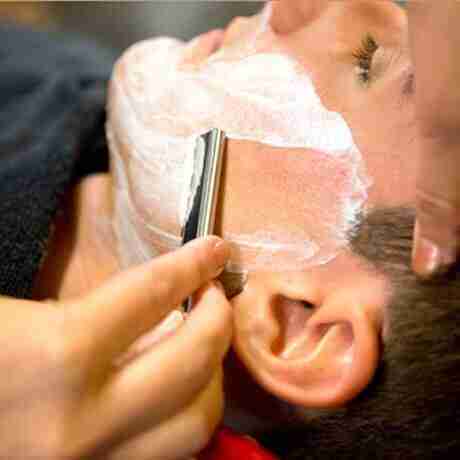 Get a Straight Razor Shave Today! A smooth shave with a straight razor. 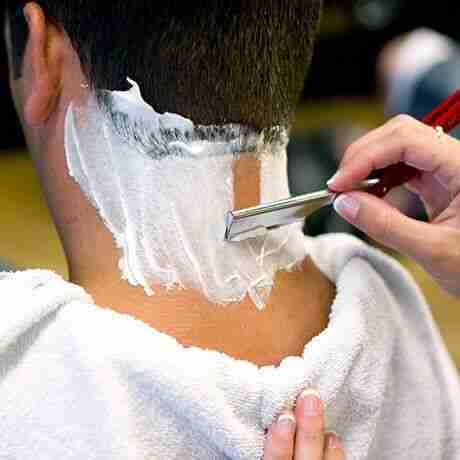 A smooth shave with a straight razor and a vibrating shoulder massage. A straight razor fade haircut with a relaxing scalp massage/shampoo, hot towel treatment, vibrating shoulder massage and a straight razor neck clean-up. A straight razor fade haircut with a straight razor neck clean-up. Customers who received the Jude’s Haircut on their last visit can get a straight razor clean up in-between haircuts for free! If you didn’t get the Jude’s Haircut on your last visit, you’ll be charged. Owned and operated by a local West Michigan family who were born, raised, live and play in Michigan. Cover up some of the gray for a natural look, or cover it up completely. You decide. Color for your facial hair. Simple to extremely detailed shaved hair designs. Relaxing scalp massage/shampoo with a hot towel treatment with a vibrating shoulder massage. A mini facial with a relaxing scalp massage. "Great Barbershop" - Joseph B. 7 Years in a row baby! The smoothest neck line You’ll ever have. The tension oozes out of You. An amazing way to end a great experience. It’s a landmark in the history of men’s grooming. 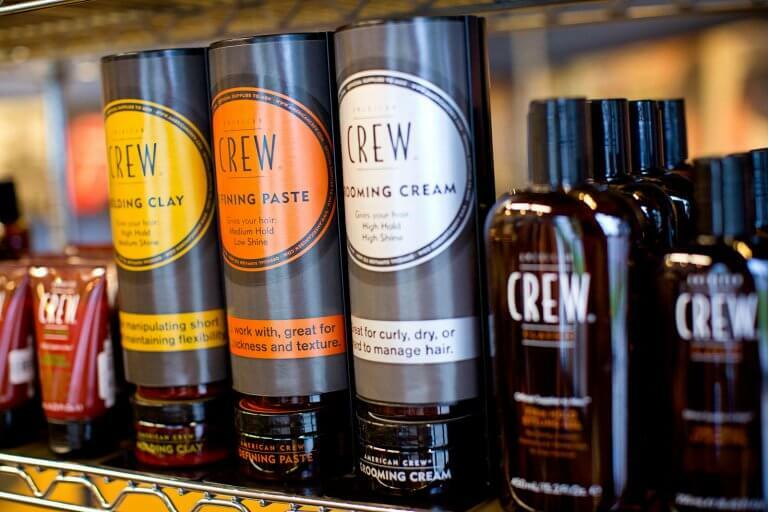 It’s the leading salon brand created specifically for men and the stylists they trust. 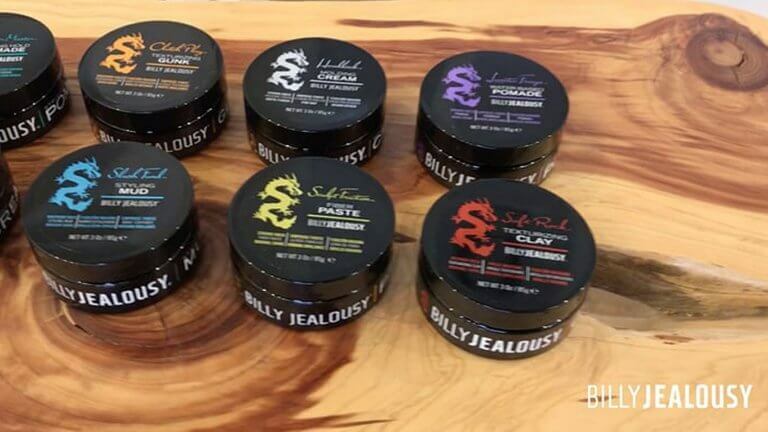 Billy Jealousy is more than just a product — it’s a way of life that defines who You are: effortless yet edgy, playful but still polished.